Set apart, useful, and ready. As I have followed my Master for the past 9 years or so, I have come to see that my life is a daily learning of dying to self, and living in Him. It has been a journey fraught with mistakes and sin and a daily falling short of His glory, but He has been faithful and ever picking me up and brushing off the dust from my knees and wiping the tears from my eyes… He continues to lead me forward towards His hope and completed promise. Over the past 3.5 years as I have studied at Western Seminary and am finishing up my final classwork, I have been blessed with a wonderful season to learn and grow in the Word and to study and apply and practice the Gospel into different parts of my life and ministry. Yet, the reality is now that I am about to be done… I am again at a crossroads of my life and unsure of the future. Unlike the past, where I was not as well equipped or “trained”, the future is uncertain. Perhaps I have more options now, but even with the education… the stories and experiences… I am not sure what the next steps will hold. Do I wait and stay, or do I go? Where? When? How? As my M.Div. 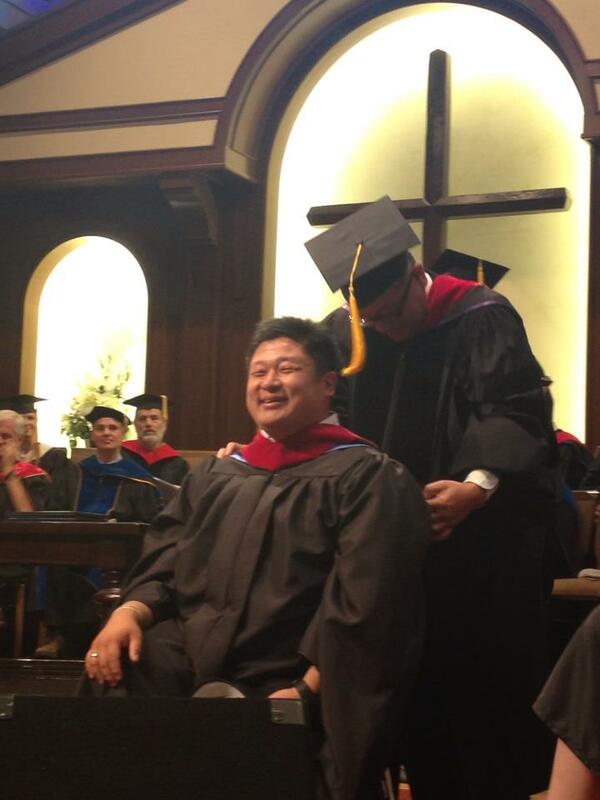 stole was placed on my shoulder, Dr. Jeff Louie… my friend, teacher and mentor whispered to me: “Preach the Gospel, Helicon.” And I said, “I will.” In many ways, how many generations of believers have gone forth and isn’t it awesome that we are able to participate in God’s work in this world? I guess when I see Paul’s words to Timothy here in this book, it has greatly moved me to reflect and consider my life as I walk forward to do what has been passed generation after generation since Jesus entrusted His work to the Twelve… from Paul onto Timothy… and to all whom have passed it on to us today. Just from reading these words, I am sure there are quite a few ways to possibly interpret this passage… but rather than getting stuck in this at this point…I want you to turn to see that there is an element of a promise here… that if we cleanse ourselves from what is dishonorable… then we will be a vessel for honorable use. 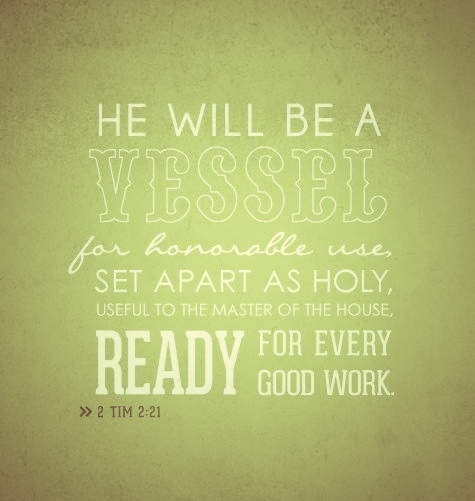 We’ll be set apart as holy… useful to our Master… ready for every good work. Let us avoid what is dishonorable … seeking to be cleansed from it… through the powerful work of the Gospel of Jesus Christ. We are cleansed by the Gospel, and our active cleansing is our part to play in our growth and relationship with God that is not done out of guilt, but first always in grace. 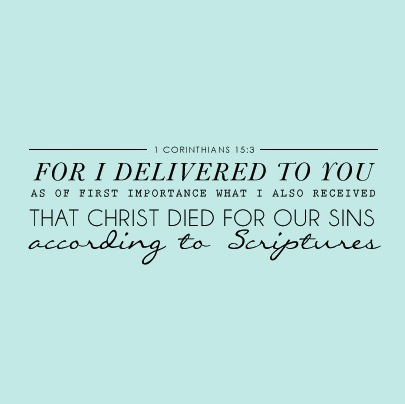 It is in this promise that these words so powerfully speak to me. 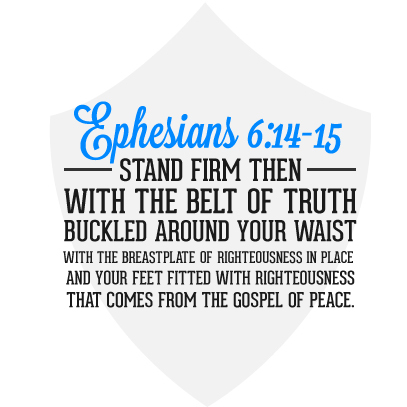 This promise… of being set apart… useful and ready… What will happen next? I know it isn’t by my gifts/my personality/my intellect/the # of FB friends I have, but by the grace of God… that I can be a vessel for honorable use. Set apart as holy. Useful to my Master, Jesus. Ready for every good work. These are the things that are on my mind these past few weeks. Would you please pray for me?